The participation of Expo Seguridad Mexico was done with great success on 26th – 28th April. With a wide variety of security solutions being presented, it was the most important exhibition in the industry throughout Latin America. More than 400 exhibitors from 28 countries were gathered in Banamex Center to showcase the most innovative products and to meet the potential customers. 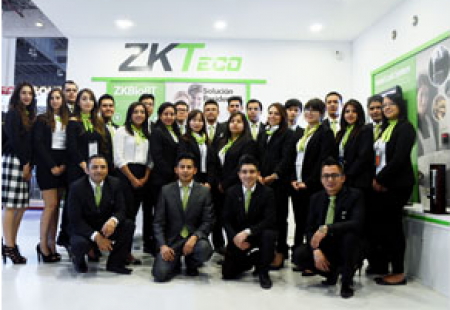 In order to be differentiated from the clutter, ZKTeco has provided various comprehensive security solutions from governmental, hostility, commercial to residential. The Green Label premium product line, which was a star of the show, has attracted more than 2,500 visitors’ attention. CEO of SilkID, Mr. Ken Brownlee was invited to be the guest speaker sharing his biometric authentication expertise to the members of the Latin American Security Association (ALAS). Thanks to the exhibition, ZK would be able to establish professional network as well as finding the leads and partners to cooperate with. ALAS is also one of the alliance as a result of networking. Writing on behalf of the Latin American team, the presence and contributions of the attendees were much appreciated!